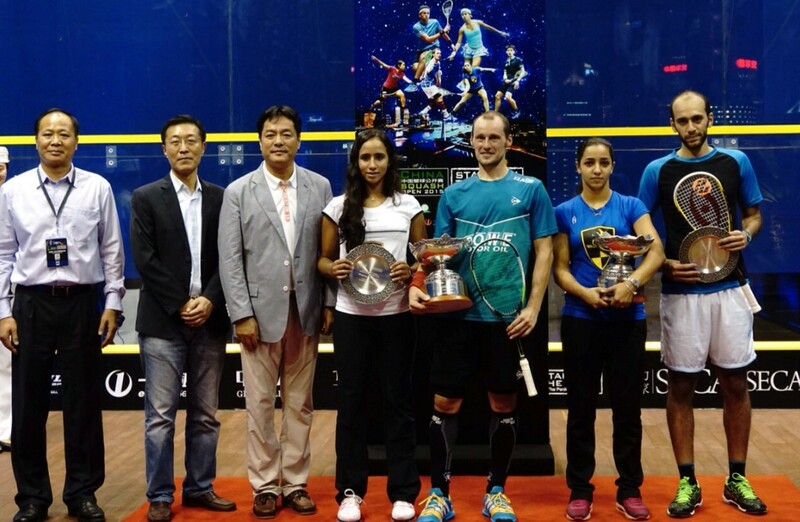 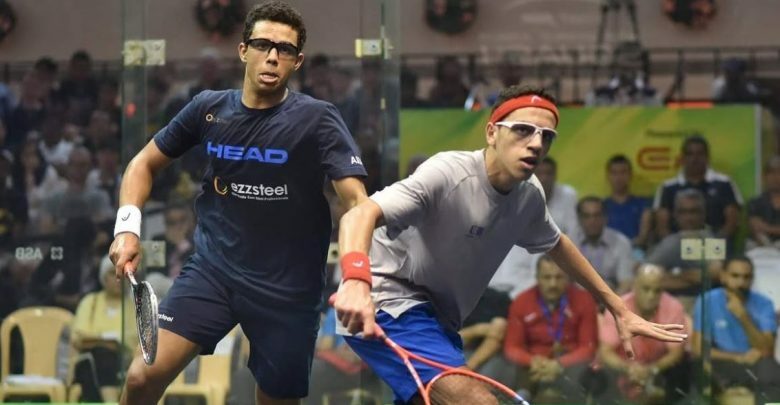 Players from Egypt and Malaysia share the No.1 positions in the inaugural WSF & PSA World Junior Rankings revealed today by the World Squash Federation and Professional Squash Association. 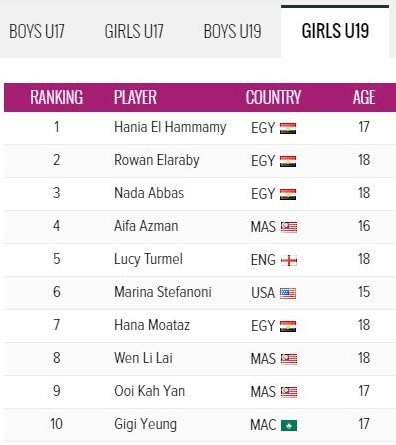 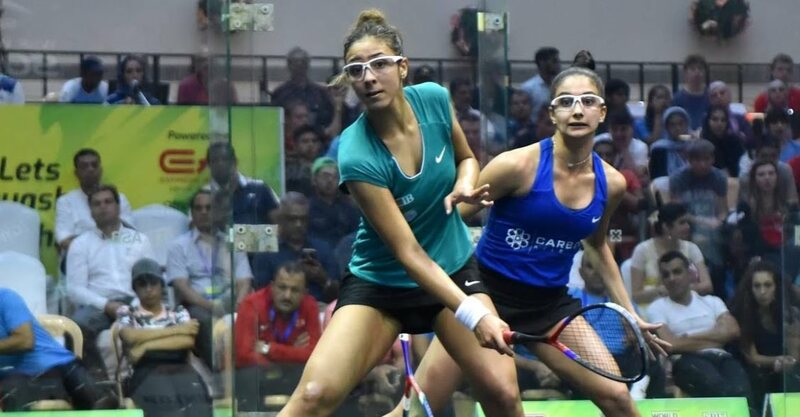 The August U19 rankings are headed by Egyptians – Cairo 17-year-old Mostafa Asal topping the men’s list after title success in last month’s WSF World Junior Championships in Chennai, India, and Hania El Hammamy, also 17 and from Cairo, taking the No.1 position in the women’s list after a second successive finish as runner-up in the Women’s World Junior Championship. 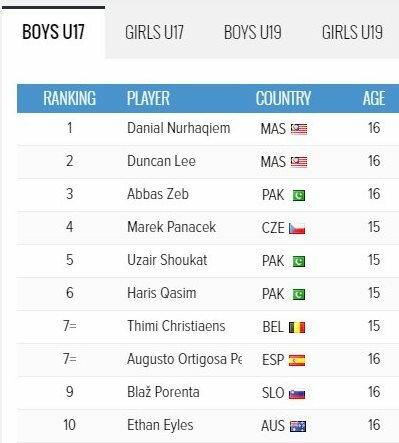 Malaysia’s Danial Nurhaqiem tops the new men’s U17 rankings. 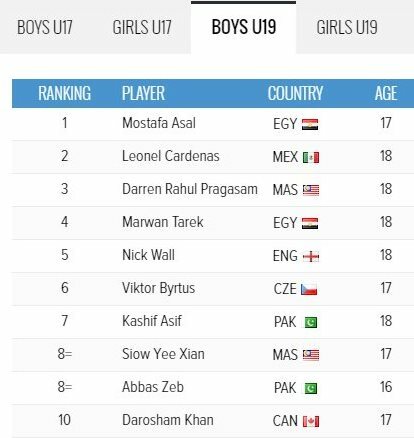 The 16-year-old from Kuala Lumpur reached the second round of the men’s World Junior Championship – and went on to remain undefeated for Malaysia in the team event. 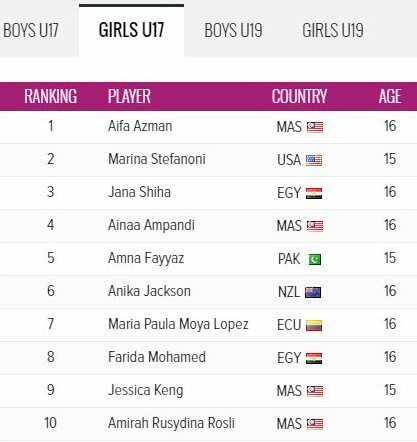 Already with four PSA Tour titles to her name, Malaysian Aifa Azman heads the women’s U17 list. 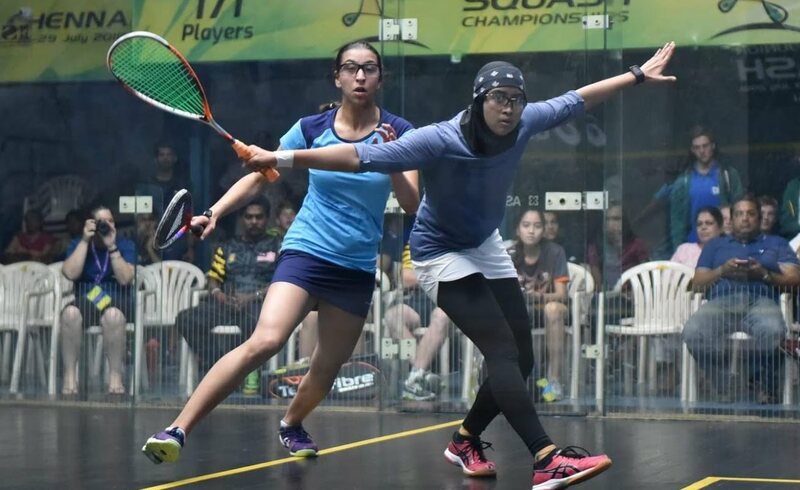 The 16-year-old from Kedah won the Malaysian U19 Junior Open last month and in January clinched the British Junior U17 Open title.